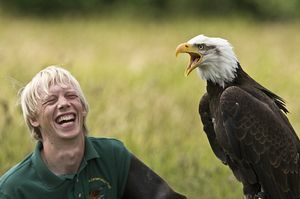 The Hawk Conservancy Trust is a small charity based in Hampshire that has for many years worked in the fields of conservation, education, rehabilitation and the research of birds of prey, both in the UK and overseas. 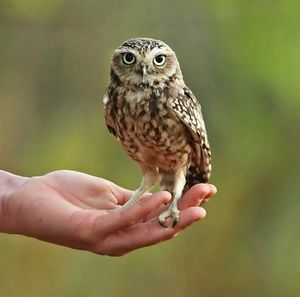 The Trusts' Visitor Centre is set in 22 acres of woodland and wild flower meadow, where there are over 150 Birds of Prey on view, from the tiny Pygmy Owl to the impressive European Black Vulture. 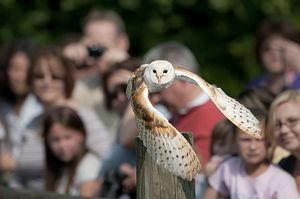 The Trust offers daily flying demonstrations to its visitors - Woodland Hawks & Owls, World of Raptors and Valley of the Eagles, that we thrill and entertain visitors. 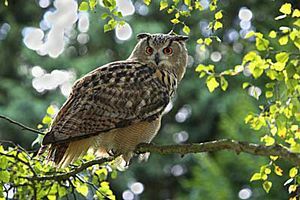 include Owls By Moonlight, Adult and Junior Experience Days, and Photographic Days, which enable the participants to get closer to the birds of prey in a more intimate setting. Extra activities are available during school holidays and weekends, such as tractor rides, duck racing, ferret racing, raptor trail and adventure playground, which are guaranteed to keep our younger visitors amused! The Trust has fully catered corporate facilities that are ideal for meetings or training sessions, and make a unique setting for private functions and parties. There is both a coffee and Trust shop on site. There is also ample free parking, with designated disabled spaces. 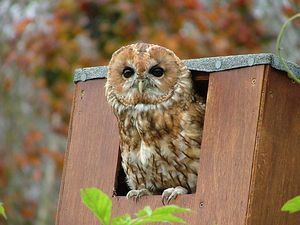 The Hawk Conservancy Trust runs conservation and research projects, such as its Fund-a-Bird nest box adoption scheme, that provides much needed breeding sites for four species of British raptor - Barn Owl, Kestrel, Tawny Owl and Little Owl. Conservation is an important feature of the Trust's mission. It participates in conservation breeding programmes for endangered species and was the first organisation to breed and release Red Kites back to the wild. 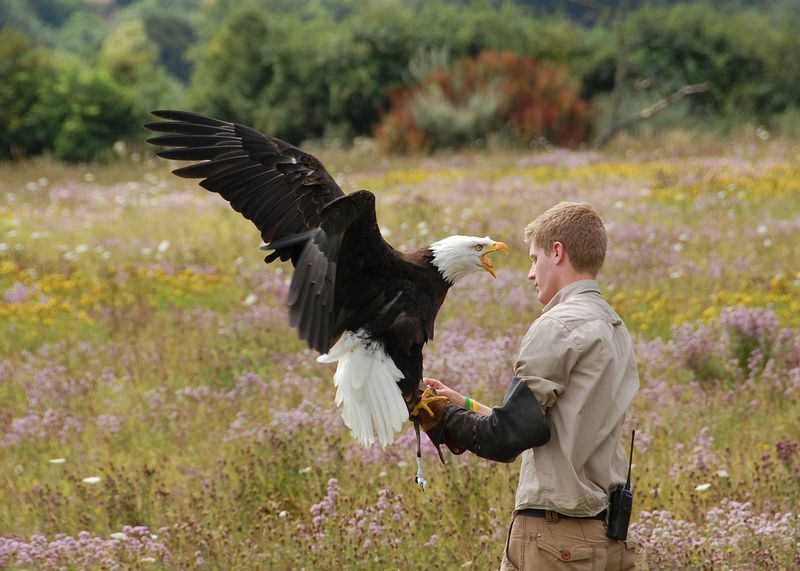 15 birds have been successfully released back into the Cholderton valley in Hampshire, after their absence for more than 150 years. 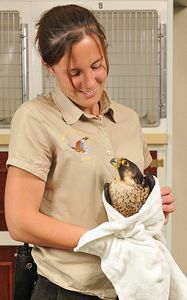 The charity also receives over 200 young, sick or injured birds of prey each year, which are treated in the Trust's specialist hospital and rehabilitation aviaries. The Trust is also involved with research on African White-backed Vultures and works with BirdLife South Africa and De Beers on a conservation monitoring project at Kimberley in South Africa. The data obtained from this project provides vital information on breeding patterns, population numbers and the ecology of the species. Staff and volunteers from the Trust make regular visits to Africa to provide practical assistance to the project. The education programme delivered by Trust staff and volunteers aims to educate the public on raptors with visits and presentations to social groups and schools. 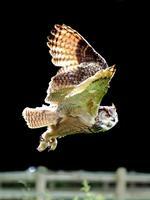 Topics covered include habitat, flight, food chains, British raptor species and the Trust's conservation projects. Organisations such as the RSPCA and the police also receive practical training from Trust staff in handing and managing birds of prey. All proceeds from visits to the Trust fund our conservation work. 4 miles west of Andover, signposted from the main A303 London to Exeter road, and just 15 minutes drive from Stonehenge.